First of all, this product has a 4-in-1 purpose which includes removing makeup, cleansing, moisturising and soothing. The bottle that I own contains a generous amount of product, costing only RM54+ for a 500ml bottle. I think that is pretty affordable especially since the whole bottle can last me up to 5-6 months (seriously!). 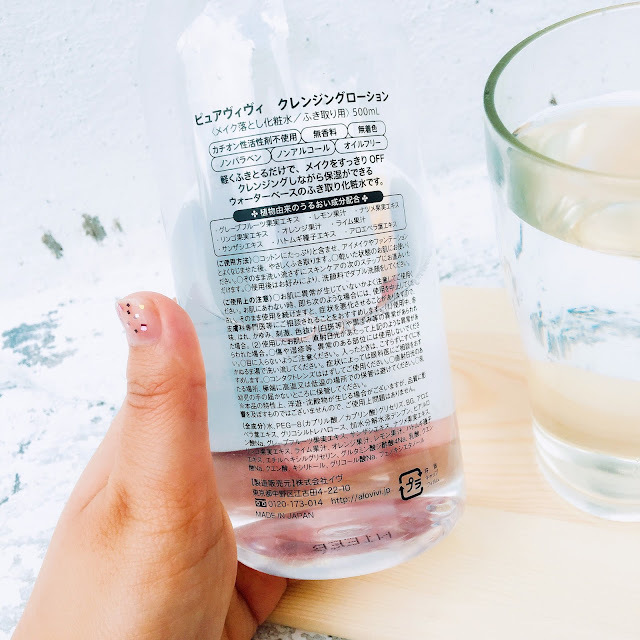 If you use makeup on a daily basis you might run out faster than I do (I try to reduce the amount of makeup I wear because my skin can be slightly fussy when I put on too much frequently) ; but still long enough to make the purchase worth your money as a few drops of this water on your cotton pad goes a long way. The ingredients inside include water, hyaluronic acid, aloe extract, grapefruit extract, Crataegus Cuneata extract, jujuba extract, apple extract, lime extract, orange extract and barley extract; and since it's a product for sensitive skin, so far the formulation does not sting my face. I have a few cleansing water that does the job well too but the only downside to them is that they tend to sting my eyes areas. 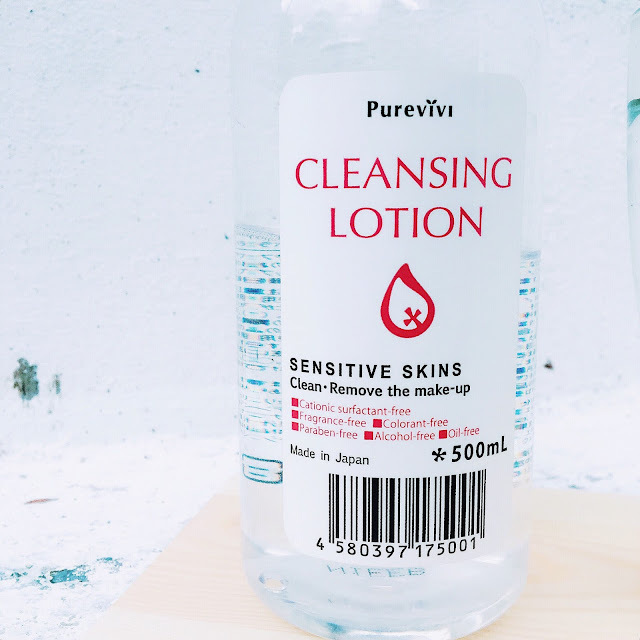 For this cleansing lotion, I didn't experience any discomfort, as long as I did not rub my eye area to roughly as I am removing my eye makeup. There is a very slight hint of scent to it but in many cases, it would be dismissible to people. This cleansing lotion is not sticky and it does not overdry my skin. Able to remove even waterproof products, I usually reach out to this one when I wanted to get rid of my eye liners and mascara. Plus, like I mentioned above, it does not sting my eye which is an added advantage. Only a few drops of the water onto the cotton pad is enough to remove one eye makeup. If I totally soak my cotton pad with the cleansing water, I usually need only two to remove my full face makeup. This product also does not contain cationic surfactant, is fragrance-free, colourant-free, paraben-free, alcohol-free and oil-free. Used this before, but I got it from SASA. :D My current favourite micellar water is from The Saem! So cheap and works well too..
Ohh the one from The Saem is not bad either and affordable too! For this one, I checked it recently, they are still available in Watsons too.